The pace of progress is accelerating rapidly toward the fulfillment of God’s global purpose. 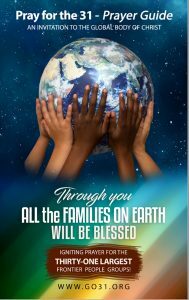 bring God’s blessing to all of earth’s families (Gen 12:3)? YOUR PRAYER IS VITALLY IMPORTANT! 31 largest and most influential people groups. Three hundred years ago, a small group of religious refugees launched a 24-hour prayer meeting that lasted 100 years and birthed the first wave of Protestant missionaries. God is stirring prayer for Jesus movements to multiply God’s blessing through families and communities in the largest and most influential Frontier people groups. One quarter of the world are isolated from the gospel in these Frontier people groups, where less than one person in 1,000 is a Christian of any kind. These largest groups are strategic gateways to influencing the many smaller people groups. In 2017, God stirred the formation of the 24:14 Coalition to pursue movements in every remaining people group by 2025. The two free books offered below will help you understand the 24:14 vision, and how God is blessing today families through movements. 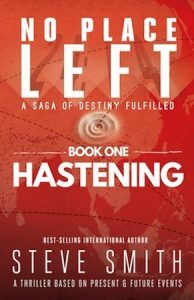 Hastening is a thriller novel about what could happen if our generation were to seriously pursue a movement among every people by 2025. Within two years of its publication, the global 24:14 Coalition formed to pursue the vision presented in this book. 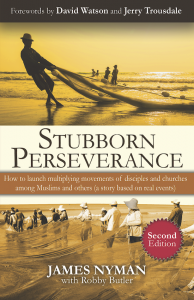 Stubborn Perseverance is novel demonstrating how to start a movement. It is a fictionalized case study based on real movements among Muslims in Southeast Asia, with application points to guide teams in adapting the principles for their own context.